The functioning of a control and shut-off valve becomes very demanding if the temperature drops to the range of absolute zero. In these extremely cold temperature ranges, each valve must be designed and optimised according to the application and fluid. A cryogenic valve is one of the few elements which connect the cold pipeline with the liquid gas to the environment at ambient temperature. This may result in a temperature difference of up to 300°C between the pipeline and the environment. This temperature difference generates a heat flow from the warm to the cold area, which reduces the efficiency of a system and impairs the proper functioning of the valve under extreme circumstances if ice is formed at the warm end. The challenge is to reduce the thermal resistance between the warm and the cold area, i.e. between the valve bonnet and the valve connections, as far as possible. 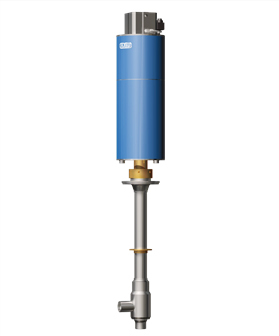 WEKA cryogenic valves are characterised by a very low thermal resistance and thus contribute to a system's efficiency. WEKA check valves of the CCV type are typically used for liquefied gases such as He, Ne, H2, N2 or Ar. 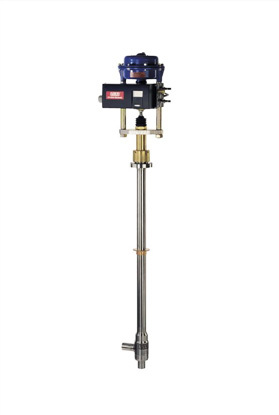 They are designed for a nominal pressure PN up to 25 bar and for a temperature range from 4 K to 323 K. Standard versions are the nominal diameters DN6 to DN200 and with weld-on ends, optionally with extensions or also with flanges. 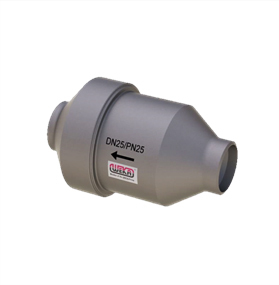 In order to avoid undesired oscillations in the system, the check valves can also be designed with a small seat bypass borehole. The opening pressure depends on the nominal diameter and on the installation position and is typically between 5 and 50 mbar. Larger opening pressures are also possible if necessary. The typical use of bellows valves is in helium or hydrogen condensers. In general, WEKA Q valves have the same characteristics as the bellow valves. However, they are not sealed metallically to the outside, but with a soft seal. Typically, they are used for liquid nitrogen applications at temperatures up to 80K. Their design is optimised for the ingress of heat. During normal, trouble-free operation of a system, the safety valves must be very tightly sealed in order to prevent fluid leakage to the largest possible extent. In case of an overpressure building up in the system, the valves must be activated exactly at a specific pressure value and dissipate large, cryogenic mass flows. In doing so, the valuable fluid is not released into the environment, but rather forwarded into a buffer container. 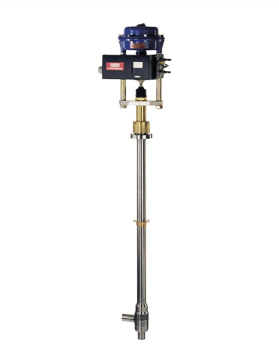 In contrast to conventional safety valves, the cryogenic safety valves are therefore always activated at the specified pressure, regardless of the pressure that prevails behind the valve. When the pressure falls below a specific value again, the valves are tightly re-sealed. This is all done automatically, without external energy. Cryogenic safety valves are used in applications in which system overpressure in a cryogenic system is not only an extraordinary emergency but may very well occur several times. In this regard, it should be possible to collect and reuse the cryogenic, vaporising fluid - typically helium - for efficiency and cost reasons. Check valves in cryogenics prevent the cryogenic fluids from flowing back in an undesired direction and, as a result, contribute to making the processes more safe and reliable. Typical applications concerned are gases such as He, Ne, H2, N2, Ar or O2. The valves can generally be used in all cryogenics systems in which cryogenic fluids are to be prevented from flowing back. ATEX certificates for use of the valves in explosion-proof zones are also available.